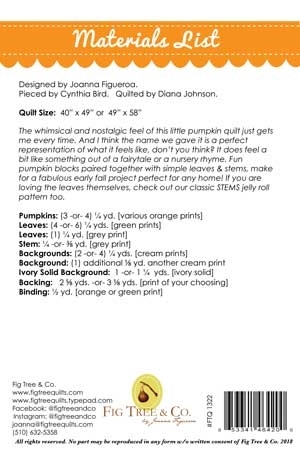 The whimsical and nostalgic feel of this little pumpkin quilt just gets me. And I think the name we gave it is a perfect representation of what it feels like, don't you think. It does feel a bit like something out of a fairytale or nursery rhyme. 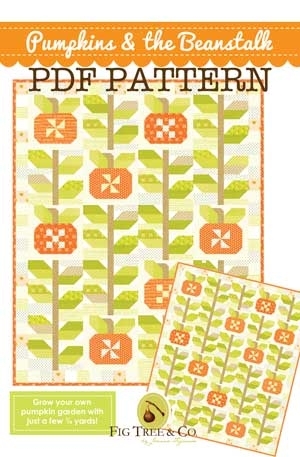 Fun pumpkin blocks paired together with simple leaves & stems, make for a fabulous early fall project perfect for any home! 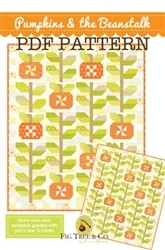 If you are ooving the leaves themselves check out our classic Stems pattern too. Approximate Size 40" x 49" or 49" x 58"
Approximately 40" x 49" or 49" x 58"